There are many things about the music industry that don’t make sense right now (2018) (Post Malone, for example) – a year in which seemingly every music critic and their mother gets a kick out of smugly declaring that “guitar music is dead”. 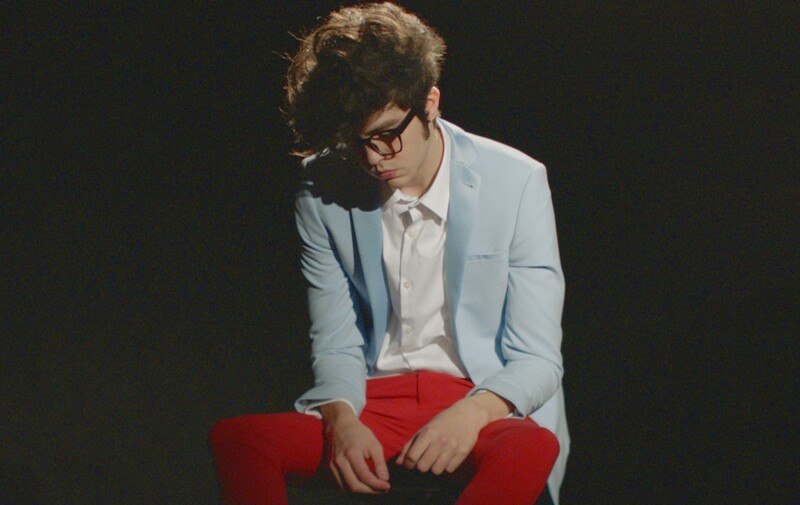 By this logic then, one thing that certainly doesn’t make sense is how a band from Leesburg, Virginia named Car Seat Headrest, who have no high-charting albums or singles (‘Twin Fantasy’ reached 68 in the UK charts) have sold out the 1,100-capacity SWX on a Tuesday night. And yet here we are. It’s a hot, sticky night in Bristol (stickier that usual), and the large upstairs room has nearly filled by the time impressive support band, Naked Giants, finish their set at 8.15. 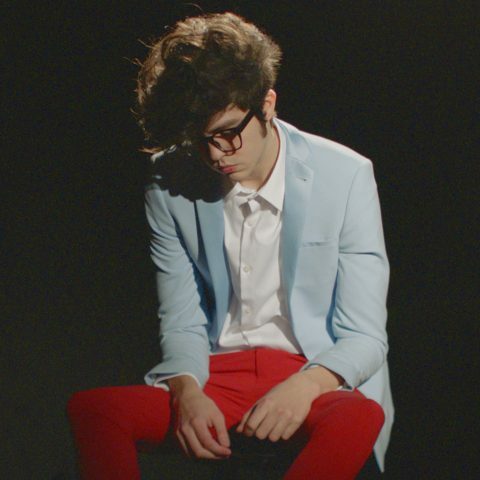 There are few artists to fully make this ascent in indie circles recently seem as natural as Will Toledo has, the one-man songwriting powerhouse who works under the guise of Car Seat Headrest. Toledo put out an impressive ten or so albums out on Bandcamp before making his mark on the world with the critically-adored Teens of Denial in 2016, and the mix of garage-y, lo-fi indie rock with introspective (and often hilarious) lyrics has seen him win legions of fans over the last three years. Things start tonight as they mean to go on; engaging but never predictable. A Toledo-less band – now featuring members of Naked Giants, no less – take to the stage and begin a long, slow jam, with Toledo arriving later to steer it into a cover of Lou Reed’s ‘Waves of Fear’. It’s an odd opening, and hardly a theatrical one, but the mere sight of the young cult hero is enough to facilitate a large cheer from the audience – a chance to catch the man in the flesh whose words paint such vivid pictures that full grown men can remenisce about awkward teenage experiences they’ve probably never had. Kicking things off properly with recent single ‘Bodys’ and Teens of Denial standout ‘Fill in the Blank’, before the band stop the momentum of their set dead in its tracks with the slower, gentle croons of six-minute ‘Maud Gone’. The band pulled a similar stunt at last year’s End of the Road festival, to middling response. Thankfully, things pick up again with a crop of tunes from Car Seat’s last two albums – and what tunes they are. ‘Destroyed By Hippie Powers’, ‘Cute Thing’ and ‘Nervous Young Inhumans’ all continue the lineage of great indie bangers from the likes of the Pixies, Pavement and Weezer, whilst ‘Joe Gets Kicked Out of School…’ and ‘Drunk Drivers (Killer Whales)’ are modern classics in their own rights, and receive a rapturous sing-along response. At this point an inflatable orca also emerges from the human sea. Another unexpected highlight is a supremely funky cover of Talking Head’s classic ‘Crosseyed and Painless’. However, for a band who, in Toledo’s own words, “don’t come to Europe very much”, it would be nice for the group to not feel they have to pad out their set with covers, and instead focus on the material which made them so celebrated (‘Vincent’ and ‘1937 State Park’ are sorely missed by this writer tonight). Toledo’s stage preence is also notable, mainly for how introverted it is. He stands centre stage, this time with no guitar weighing him down, and no mic stand to cling on to. Toledo is free to move and dance as he wishes, yet he doesn’t particularly look like he wants to. His awkward stage presence is somewhat distracting, initially, but the body language actually suits the music perfectly (the cynics amongst us may wonder if it’s all an act). Many indie singers have transcended their humble, nervous origins to become fully-blown showmen (Alex Turner, Elias Bender-Ronnenfelt), but Toledo’s own brand of personal discomfort is what makes his brutally-honest music so appealing, and perhaps the longevity and credibility of his career hangs on this purity. This does not, however, have any impact on his voice, which is as deep and dynamic live as it is on record (a friend of mine noted how Toledo is like a mix of Joey Ramone and Jarvis Cocker, which is fairly accurate). After a calmer, stripped-back version of ‘Sober to Death’, the band end the evening with the epic ten-minute ‘Beach Life in Death’, a song with so many glorious crescendos its practically an album’s worth of ideas in one tune.